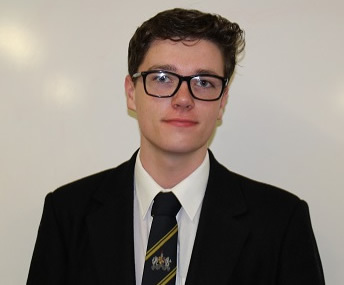 To say that I am the Head Boy of Ashfield Boys’ High School not only fills me with pride but also disbelief – especially when I think of the progress that I have made since the beginning of my Ashfield journey.! In Year 8, I had no awareness of my capabilities and no sense of direction or understanding of what I was good at. It would be fair to say, that I was a shy and anxious pupil. However, from day one at Ashfield Boys’ my mind was expanded and I began to see what I was capable of, pushing my limits and growing in self-confidence – allowing for me to see myself, for the first time, as someone who can amount to something if they put their mind to it and allowing me to take the first steps in becoming the person I want to be. I can honestly say that I have Team Ashfield to thank, for always inspiring me to be the best version of myself, nurturing me towards reaching my full potential and making me feel part of a caring and giving environment. Working alongside my teachers over the years has made me a stronger and harder working individual. Currently, I am studying Double Award Science, Geography and Mathematics A-levels and I know that I will have the support to help me achieve great results. Ashfield Boys’ has done more for me than I will ever be able to return but as such I will strive to do my best and to leave a legacy for others. The position of Head Boy was only ever a dream for me and now, it is a reality – an honour and a privilege. I really look forward to working with all the students, staff and parents.